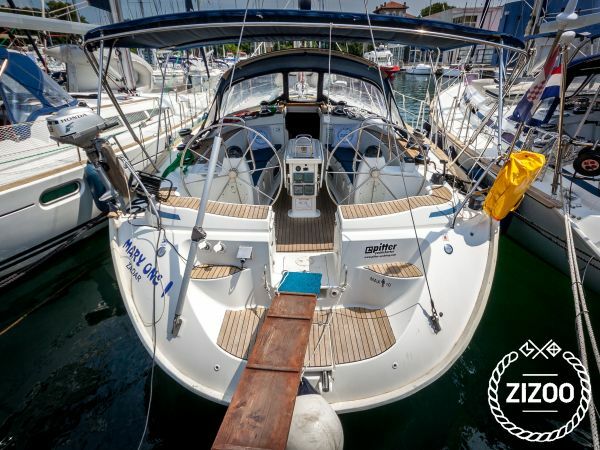 This spacious Bavaria 49 is available to charter for your next sailing holiday in Zadar. This Bavaria 49 sleeps up to 10 and offers 5 comfortable cabins. The bright and airy salon and galley also provide ample space for resting and entertaining. The spacious deck features a twin helm and lots of space to relax and take in the sights. Keep cool under the sun with the extensive bimini or take a swim in the cooling waters of the Adriatic. Discover hidden coves and tranquil beaches aboard this classic cruiser by Bavaria. Get tips on sailing conditions, anchorages and sites to see while sailing from Zadar with our guide and 7-day itinerary.